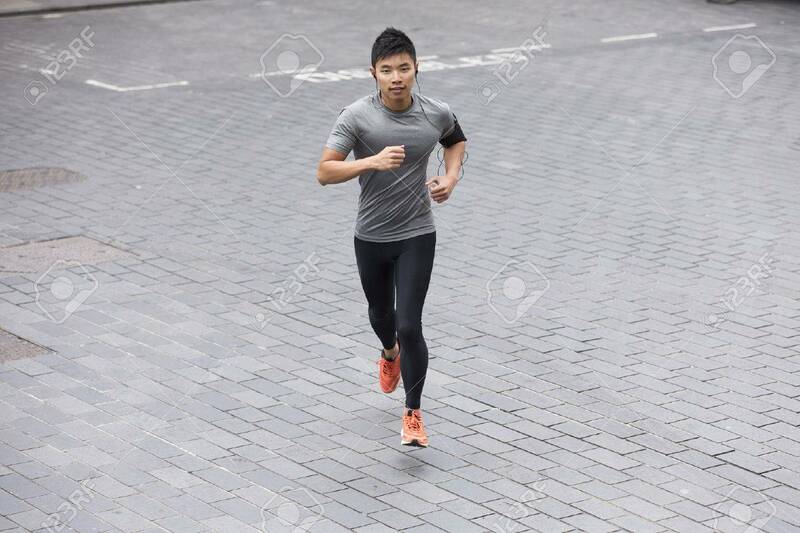 High Angle View Of A Sporty Fit Asian Man Jogging On Street Listening.. Stock Photo, Picture And Royalty Free Image. Image 43884291. Stock Photo - High angle view of a Sporty fit Asian man jogging on street listening to music on smart phone. Male fitness concept. High angle view of a Sporty fit Asian man jogging on street listening to music on smart phone. Male fitness concept.